A vascularised lymph node transfer, a microvascular procedure created to treat lymphoedema, has been performed at Life Vincent Pallotti Hospital, Cape Town. It is believed to be the first procedure of its kind in South Africa. “Lymphoedema is a painful condition that may develop when cancer blocks lymph nodes or lymph vessels, or alternatively when cancer treatment such as surgery or radiotherapy removes lymph nodes or damages part of the lymphatic system. 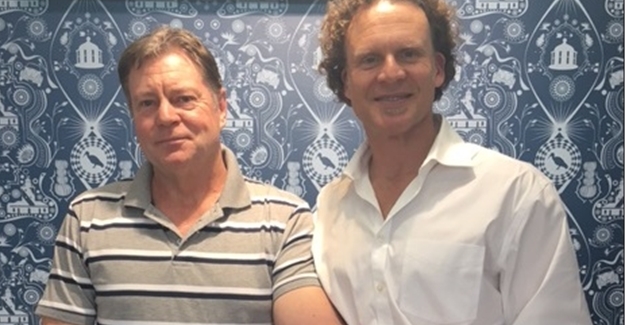 It develops when lymph fluid isn’t able to drain in the normal way and is collected in an area of the body, causing severe swelling”, explains Dr Conrad Pienaar, specialist plastic and reconstructive surgeon at Life Vincent Pallotti Hospital. Stephanus van Wyk developed lymphoedema in his left arm following treatment for a malignant melanoma. The severe swelling developed soon after he underwent surgery to remove the cancer and despite standard treatments, it did not subside. “My arm was permanently swollen and painful and I had limited movement to carry out daily tasks,” explains Van Wyk. He recently underwent a four-hour surgery to relieve the condition. “Functioning lymph nodes were transplanted from the outer groin area into the wrist to treat the lymphoedema. The vascularised groin lymph node transfer surgery is done through an incision in the groin and with the aid of loupe magnification. We then carefully dissected out the targeted lymph nodes, along with the veins and artery and some surrounding tissue. Thereafter, the lymph nodes were transferred to the wrist, where the blood vessels were reconnected under microscopic magnification using specialised micro-instruments and tiny sutures,” explains Pienaar. Once the transplanted lymph nodes are reestablished, they act as a physiological “sponge” to drain the excessive lymphoedema fluid and as a result, diverts this fluid to the venous system to be drained away. Lymphoedema is a long-term chronic condition and the swelling can affect patients emotionally, physically and practically. “Not everyone who has cancer or cancer treatment develops lymphoedema and wherever possible, doctors plan cancer treatment to try to avoid damage to the lymph nodes. For those who do suffer from lymphoedema, their quality of life is greatly affected. If lymphoedema patients are suitable candidates for the lymph node transplant surgery, it can significantly improve their daily quality of life,” says Dr Clare Neser, specialist plastic and reconstructive surgeon at Life Vincent Pallotti Hospital.